The team has been busy these past two months with Co-Ed Qualifier and Semi-Finals, Women's Qualifier, and Team Race Qualifier. 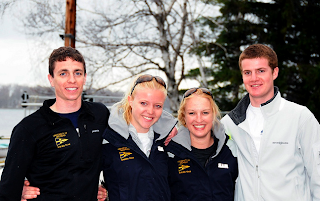 We hosted the Co-Ed Qualifier at Baseline Lake and 10 teams attended. 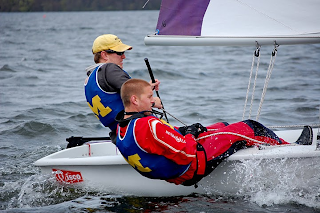 All races were finished in one day with great wind and racing on Saturday. Wisconsin took first overall, and Michigan took second. The other teams that qualified for the Semi Finals in Long Beach were Minnesota, Northwestern, Ohio State and Marquette. The Semi-Finals were held in Long Beach, CA at the United States Sailing Center. Our team left on Tuesday and stayed with alumni in Long Beach, (Thank you to the Schweglers!) and practiced with the UCLA and Oregon teams on Friday. Racing began on Saturday around 12 due to a wind delay and lasted until about 6:30. On Sunday, races started around 10:30 after a short wind delay and lasted until bout 5:30. 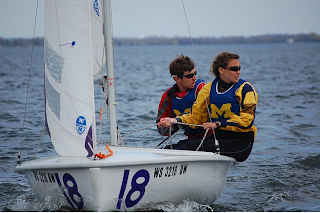 Michigan took 15th in the event. The Women's Qualifier was hosted by Northwestern over Easter Weekend. The racing began early on Saturday and high winds allowed for fast and fun races. There was a postponement due to high winds for about an hour but then the ladies went back out and finished the regatta in one day. We took third place overall, just a couple points behind the first and second teams--Wisconsin and Minnesota. The ladies will be sailing in Semi Finals in the Gorge, Oregon from May 23-26. 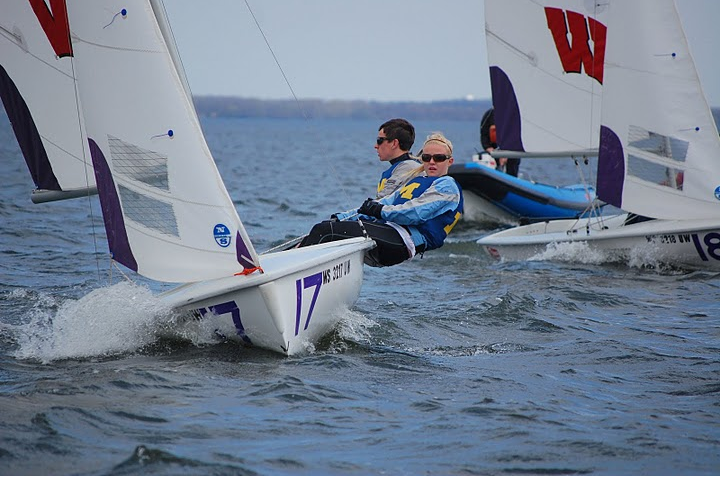 The Team Race Qualifier was held in Madison, Wisconsin this past weekend. All racing took place on Saturday, as there was no wind on Sunday. 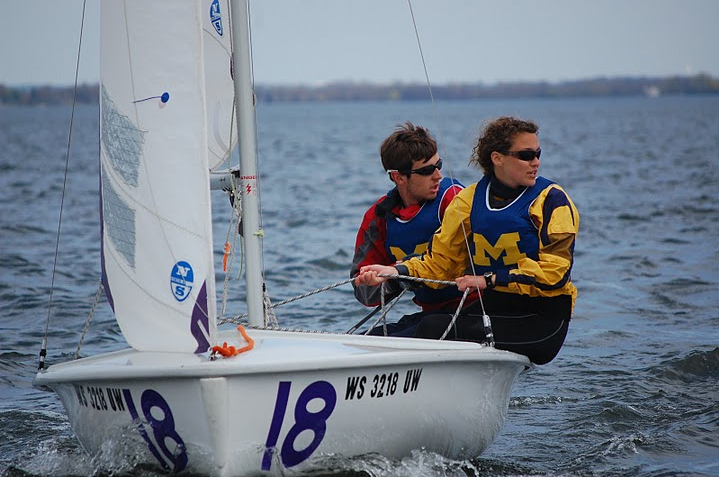 Michigan took fourth overall, trailing behind Minnesota, Wisconsin, and Northwestern. We finished ahead of Ohio State and Notre Dame.